The arrival of the winter holidays means travel for many families. Some will drive across the city, some will drive several hours and some will fly across the country. Very few will think about the environmental footprint of their travel plans but it should be clear that the impact of those driving across the city is much less than that of those flying across the country. City-dwellers’ decreased transport demands are at the heart of the belief that cities hold the solution to our current and future environmental problems. As a recent National Geographic article points out, city dwellers have shorter roads, sewers, and power lines, they live in smaller homes and they drive less. National Geographic is far from alone in this belief, however. The National Resources Defense Council (NRDC) has joined Harvard economist Edward Glaeser and others in calling for a re-examination of how the ‘green-ness’ of cities is perceived. As urban areas now hold half the world’s population for the first time, these calls come none too soon. Despite the growing recognition that cities may be a sustainable solution, the global migration to cities poses a difficult challenge for conservationists. As more of the global population and monetary resources become concentrated in cities, conservation action to protect wild places outside of cities will become increasingly dependent on these urban populations. Ironically, many of these potential benefactors will never experience the wilderness they are asked to help protect. 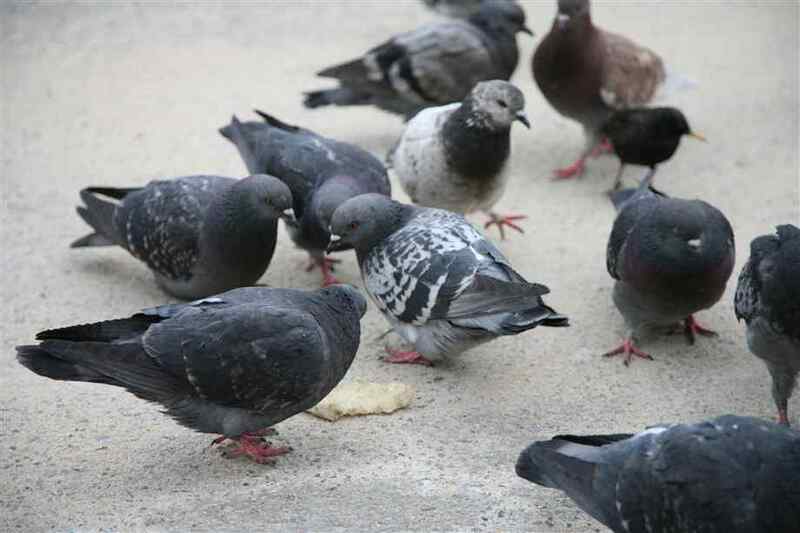 Some ecologists have taken to calling this the ‘pigeon paradox’ after the fact that the only wildlife many city dwellers are regularly exposed to is the feral pigeon. Yet these pigeons are commonly referred to as urban rats. What kind of relationship between city dwellers and nature is that engendering? If city dwellers’ experiences with nature remain limited to encounters with animals perceived as pests, it is not reasonable to expect them to continue to contribute to conservation initiatives. One proposed solution has been improvements in environmental education programs, but this is, at best, a partial solution. Few, if any, current conservationists became conservationists solely because they became educated about environmental problems. Rather, many can point to one, or several, direct experiences with nature that motivated their desire to act as protectors of the environment. It is imperative that city-dwellers continue to have these experiences, in addition to education. As a result, green spaces and parks in new sustainable cities take on importance not just as a source of improved livability but also as locations to experience nature. Obviously it is not possible to replicate the experience of suburban children, who have open woods in their backyards, in a city, but cities also need not be solely ‘people habitats.’ In New Zealand, the creation of Zealandia, a predator-free bird reserve on the edge of Wellington’s urban area, has increased the presence of native birds throughout the city. The birds are able to nest in the predator-free reserve but spread throughout the city in search of food and mates. In doing so, they expose Wellingtonians to native species that are the targets of conservation programs in other parts of the country and make these programs slightly more personal. Cities will undoubtedly play an important role in the movement towards sustainability as the urban migration continues and city design becomes more environmentally friendly. Examples like Zealandia demonstrate how cities can also continue to provide natural experiences to their residents. While these are different from the experiences rural or suburban residents might have, they can still encourage environmental action. If city dwellers are expected to continue supporting wilderness conservation, it is imperative that cities of the future foster these experiences with nature.